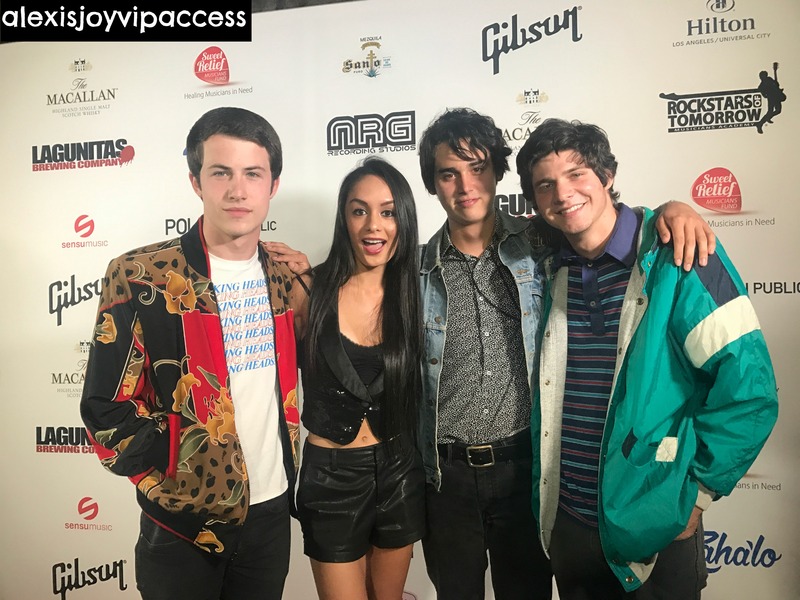 VIPAccessEXCLUSIVE: Dylan Minnette, Braeden Lemasters, And Cole Preston – Wallows Interview With Alexisjoyvipaccess At The Strange 80s Event! What happens when you have three of the most immensely talented guys together in a band? You get the one and only, Wallows. Dylan Minnette, Braeden Lemasters, and Cole Preston are each known for their spectacular talents. Dylan Minnette is a profound actor who has left us all speechless and mesmerized with his incredible work in Netflix’s biggest show out, 13 Reasons Why. Braeden Lemasters is a gifted actor as well who has been a part of a countless amount of exciting projects including T@gged, Betrayal, and many more. Cole Preston is a remarkable drummer who brings such a terrific energy to every single performance. Together, Dylan, Braeden and Cole make one of the most stupendous indie rock bands out, Wallows. The extraordinary band recently brought out their single “Pleaser” and we all have been listening to it on constant repeat. Each of the band members all have their own unique and outstanding talents that when joined together – they create amazing and sensational, musical masterpieces. Wallows just recently took on the stage at the Strange 80’s event where they gave everyone a breathtaking performance. Wallows has a lot of upcoming performances at renowned venues including The Troubadour and The Roxy Theatre and they are bound to blow everyone away with their unrivaled talents and magnificent stage presence. There is no question about it that Wallows always leaves everyone in awe as they take fans to another musical atmosphere with all of their electrifying concerts. It’s clear to see that Wallows is destined to be a household name that will continue to take over the music world by storm! I, Alexisjoyvipaccess had a brilliant time covering the Strange 80’s event that helped benefit the Sweet Relief Musicians Fund and had an excellent time interviewing the phenomenal Wallows at the event. Wallows dished exclusively to Alexisjoyvipaccess all about how they formed together as a band, what are some of their pre-show rituals before a performance, what are some other exciting, upcoming projects that they are working on that fans can look forward to, and so much more only in our VIPAccessEXCLUSIVE interview. Wallows even revealed the one musician they would like to create a song with – hear what they had to say in our VIPAccessEXCLUSIVE interview below. Thanks for the marvelous interview, Wallows! Check out my VIPAccessEXCLUSIVE interview with the extraordinary and exceptional Wallows at the Strange 80’s event below! Previous VIPAccessEXCLUSIVE: “Stranger Things” Star Finn Wolfhard And His Band, Calpurnia Interview With Alexisjoyvipaccess At The Strange 80s Event! Next VIPAccessEXCLUSIVE: Celebrities And 80’s Musicians Rocked Out At The Strange 80’s Event Benefitting A Fantastic Cause!